Hemptique 100% Hemp Cords are 6 ply 48lbs strength and come in a 100 gram spool that contains 62.5 meters. They are colorfast and use AZO free dyes. 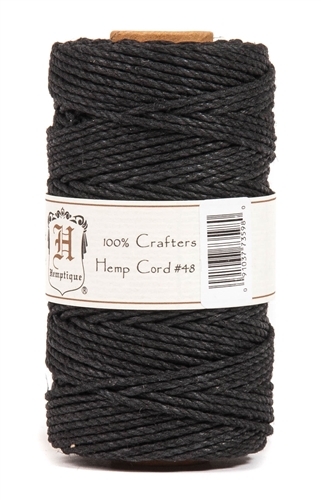 These hemp cords are very durable with a brilliant color and a delicate sheen that is a perfect choice for all types of crafts including macrame, jewelry making, scrap-booking, hang tags, packaging, school projects and more.